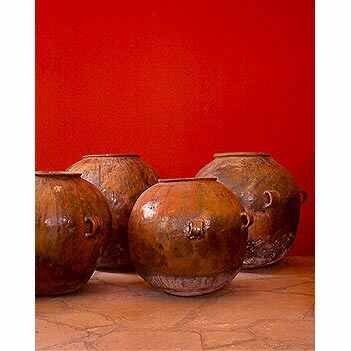 Glazed Ceramic pots once used to steam tamales. Also available as wall sconces. See Iron Lighting page for more details.